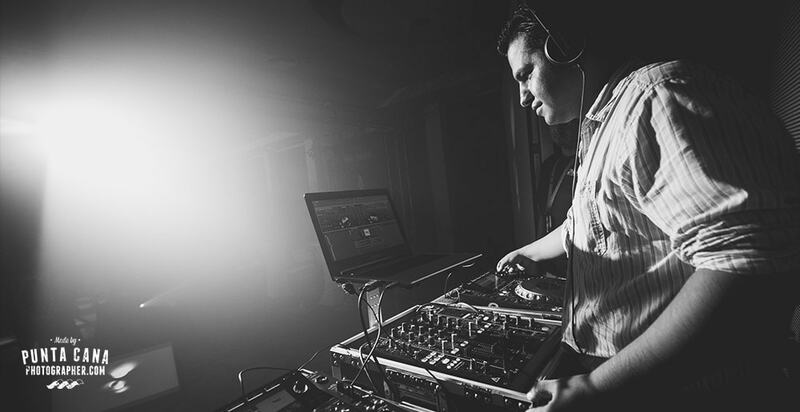 Looking for a Wedding DJ? This is our top pick in Punta Cana! If you are getting married in Punta Cana you are probably looking forward to having the best night of your life, surrounded by family and friends who travelled across the ocean to celebrate love. Your love. 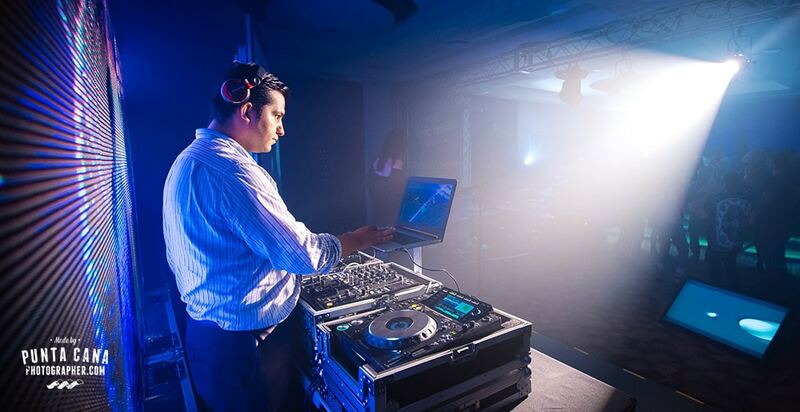 Weddings in Punta Cana tend to have smaller guests than usual, and that’s why it is SO important to have a DJ who can keep up the party beat during the whole event. We’ve photographed hundreds of Weddings in the Dominican Republic, and let me tell you something. There are little things that make a difference. A great DJ is one of them. The company that I want to talk about is not just-another-company. This is not an endorsement and we are not getting a penny out of this. We honestly feel that if you want to have an awesome event, you need to hire these guys. GCStar is not an old company with many years in business. It is a new company created by a DJ who has been playing at weddings long before we came to Punta Cana to start this dream life doing wedding photography in the Caribbean. And that’s why we like it. You can clearly differentiate a good from a great DJ. No awkward silence between songs, the next song matches the previous one so right that you want to go and give the DJ a hug. And the most important thing… if your guests are not all young people, you NEED someone to get them to the dance floor. You have no idea how important this is. The company is run by a Mexican DJ called German and we would like to introduce him to you. Hey there! How long have you been in the Wedding industry for? Hi, Gastón! I started Djing about 12 years ago, but more like a hobby. I developed my skills in the last 5 years when I started to get paid for doing this. What is your background? Have you always worked as a DJ? For some reason sales and customer service has always been in my path, that is the reason why my Company is growing. Brides appreciate when you reply their emails in just a few minutes, no more than a couple of hours, or when they can speak to you “live” over Skype, or meet you in person a couple of days before their wedding date. Also, I’m not the traditional DJ that is behind a booth all the time, I usually check how the groom and the bride are feeling at least three times during the reception. I like to do weddings, is different from any other event, the fact that we are working in one of the most popular destination wedding spots in the world has given me the chance to DJ for famous people: NFL players, UFC fighters, celebrities, etc. That’s something I never thought would happen. Do you take suggestions from the bride and groom or you just play your own music? It depends, I send to the bride and groom a form for them to fill up. Sometimes they give me the chance to decide everything, they trust me so much that I can even choose their first dance. On the other hand, I had couples who sent me lists of 100+ songs, they prefer to have control over everything. I’m fine with both, I just want the groom and bride be satisfied with my services, and following their instructions is mandatory if you want a happy couple. Do you work as MC as well? Yes, I’m one the few DJ’s MC’s in the region. Before I had my company I was hired by a lot of companies to DJ and MC, because I don’t need a translator and there are no language barriers, that is highly appreciated from brides. I’ve seen so many times frustrated brides trying to explain something to the DJ that I feel bad for them and I help them to translate. Do you work by yourself or you have any assistants to help you out? I always go to my events with at least one assistant, also I have a team of DJ’s, MC’s and technicians trained by me so I can guarantee the quality of the services of my company. Have you worked in most resorts? Are you familiar with them? I could say that I have worked in all of them. I have done over a thousand weddings just in the Punta Cana region, if you add the Mayan Riviera, Cancun, and Mexico City I might be closer to 2000. Do you bring lighting as well? What about fog machines or different options? Well, my services are the most complete in the region. First of all, I don’t only bring two speakers, I also bring subwoofers, led lights, robotic lights, fog machine, projector and screen, fireworks, amongst other services. We have a lot of add-ons included in our packages. The most important thing is that we are not the most expensive, so there you go: VALUE FOR YOUR MONEY. Are there any reviews from previous brides that we can see? Yes, you can find reviews on my Website and Facebook Page. How far in advance should people book you? We are getting booked faster than expected. We already have weddings booked for next year! I know it’s crazy, so as soon as possible. Is there a website where we can see more of your work? Yes, at www.gcstarpuntacana.com we update our gallery every week with latest weddings and events. Here in Punta Cana there are all kind of services and all ranges in price and packages. You can find vendors looking in our blog or simply using Google. We recommend some of them because we understand that hiring people without getting to know them it’s not that easy. If you need any help with your wedding, don’t hesitate to get in touch with us.